Ukraine moves heavy forces up to Donbass frontline. Is war around the corner? On Sunday, April 29th, disturbing news came from the frontline in Donbass. The official spokesman of the People’s Militia of the Lugansk People’s Republic, Major Andrey Marochko, cited intelligence data from Ukraine’s forward positions that the Ukrainian Armed Forces are moving heavy arms and troops up to the frontline. According to Marochko, a train convoy of four wagons loaded with military vehicles and UAF soldiers arrived at the Kiev-controlled town of Rubezhnoe. Nine infantry fighting vehicles, two Grad multiple rocket launcher systems, and 200 UAF troops were “delivered.” Meanwhile, Marochko also reported, another company of troops from the Ukrainian National Guard’s Poltava battalion has been deployed to the town of Belovodsk. At the same time, Ukrainian troops have continued to violate the ceasefire in Donbass. On April 26th, the UAF shelled the city of Dokuchaevsk in the Donetsk People’s Republic, killing two civilians and one DPR soldier. According to my sources on the LPR frontline, UAF logistics infrastructure has been expanded throughout the Ukrainian-controlled Lugansk territories. In particular, military hospitals have been set up, and my sources say that preparatory work on organizing civilian hospitals for receiving wounded has also been noted. There are no signs of inevitability that full-scale war will break out in Donbass in the coming days, but it cannot be ruled out. By pulling up troops to the frontline and preparing its logistical infrastructure, Ukraine is obviously preparing the preconditions for such. My opinion remains that Kiev will attack not when it decides that the time is ripe for an offensive, but when the West gives the command. These days, it is becoming increasingly widespread to claim that the Ukrainians might go on the offensive ahead of the World Cup, the inauguration of President Putin, or Victory Day. Indeed, these are suitable political timings, but so were the Russian presidential elections on March 17th, yet there was no attack. My sources in the military circles of the Lugansk People’s Republic told me in early March that they did not expect a Ukrainian attack ahead of the Russian presidential elections simply because of weather conditions preventing tank movements – whether heavy snow or the water runoffs from melting snow. In their opinion, a Ukrainian offensive would be possible no earlier than late April or May, i.e. now. Now, as we can see, all the preconditions for a Ukrainian blitzkrieg are ripe or being prepared. Only one conditions, perhaps the most important factor, remains: geopolitics. A UAF offensive on Donbass would inevitably lead to a conflict between Russia and the West. This would be an extremely costly development. Hence why I would refrain from volunteering any unequivocal answer as to whether or not war is around the corner. Rather, we should continue to closely monitor both specific local developments and the larger geopolitical picture. Lugansk, Novorosinform. On Saturday, April 21, an unmanned aerial vehicle (UAV) was shot down by the anti-aircraft defense unit of the People’s Militia of the People’s Republic of Lugansk near Lugansk City. This is stated in an urgent statement by the defense ministry’s spokesman Andrei Marochko. “In addition to reconnaissance functions, Ukrainian terrorists intended to use a drone to conduct sabotage against objects of socially important infrastructure in the territory of the People’s Republic of Lugansk. After the inspection of the apparatus, our specialists concluded that the apparatus was converted into a shock device and carried a military charge,” a representative of the People’s Militia said. “We would like to remind you that a number of large-scale events are taking place on the territory of the republic with a large number of personnel. 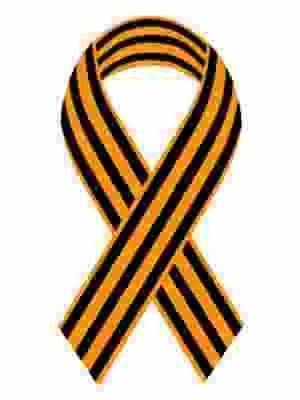 Including, preparations for the celebration of the 73 anniversary of the Victory in the Great Patriotic War,” he added. “Currently, our specialists continue working on the Ukrainian UAV. I want to remind you that this is the second drone shot down by the air defense forces of the People’s Militia since the beginning of April. I remind you that the use of unmanned aerial vehicles is prohibited by Minsk agreements,” Marachko added. Recall that the Ukrainian troops on the night of April 17 shelled the staging area for the military equipment, which was prepared to participate in the parade on the Victory Day in the People’s Republic of Lugansk. As a result of the bombardment, a tank from the Great Patriotic War, which was to take part in the Victory Day parade on May 9, plus four units of the military equipment of the People’s Militia of the People’s Republic of Lugansk, were damaged. The people’s militia accused the OSCE of being involved in the shelling of military equipment for the Victory Day parade. At the end of March, militiamen of the Donetsk People’s Republic shot down a Polish Fly Eye drone. It was spotting for Ukrainian mortar fire on the village of Sakhanka in the south of the republic. On March 27, the strategic unmanned aerial vehicle RQ-4B-30 Global Hawk of the US Air Force conducted reconnaissance along the front line in the Donbass. The Ukrainian forces have advanced significantly in the area of ​​Novoaleksandrovka in the Lugansk region. This was stated at a briefing by the deputy head of the OSCE Special Monitoring Mission, Alexander Hug. “Our observers have established facts that clearly indicate that the Ukrainian Armed Forces units have moved forward in the west of the Lugansk region near the village of Novoaleksandrovka.” – he said. Hug added that during the trip to the contact line he personally saw Ukrainian soldiers. The Organization for Security and Co-operation in Europe (OSCE) is the “world’s largest security-oriented intergovernmental organization”. Yet, it takes no action to ensure the security, freedom, or fundamental human rights of Ukrainian residents in the Donbass and elsewhere following the Maidan coup d’etat three years ago or to ensure the security of Russia against massive weapons and troop buildups occurring near its borders by European states and the U.S.. Since the leadership is from EU states, this isn’t surprising. The OSCE claims to participate in the Minsk agreements but takes no action to enforce the agreements (now thoroughly dead due to Kiev and American actions) or to stop the build up of Ukrainian Armed Forces and equipment against east Ukraine. It chronicles events against the Donbass and collects information, most likely to provide to the Kiev regime and its European and American partners. In fact, it seems to thoroughly support what is taking place right now in Ukraine. Given the immense suffering and destruction throughout Europe experienced by everyday people due to Hitler and fascism, it is overdue to fire these intelligence gathering note-takers, appoint real security leaders from the people, and restore freedom and security. Ukraine has resumed water supplies to the Lugansk People’s Republic (LPR) from the Western water treatment plant located in the Kiev-controlled territory, reported a spokesman of the Luganskvoda company on Sunday. “Ukraine resumed water supplies to the republic from the Western water treatment plant in the evening on March 11,” he said, reports TASS. Water supplies to the LPR from the Western water treatment plant were stopped overnight to March 11 without any notification. Ukraine said water supplies had been stopped due to an accident at the water mains but did not provide any documents proving that. Kiev has cut off water supplies to the Lugansk People’s Republic, the Ministry of Communications of the LPR has reported. Water supplies from the Western Filtration and Pumping Station were cut off at 3:00 A.M. Although Kiev has said such is the result of an industrial accident, the LPR says that no official documents confirming such have been provided. The water station in question is on Ukrainian territory and supplies water to Pervomaysk, Stakhanov, Kirovsk, Bryanka, Alchevsk, Perevalsk, Krasny Luch, and Antratsit. 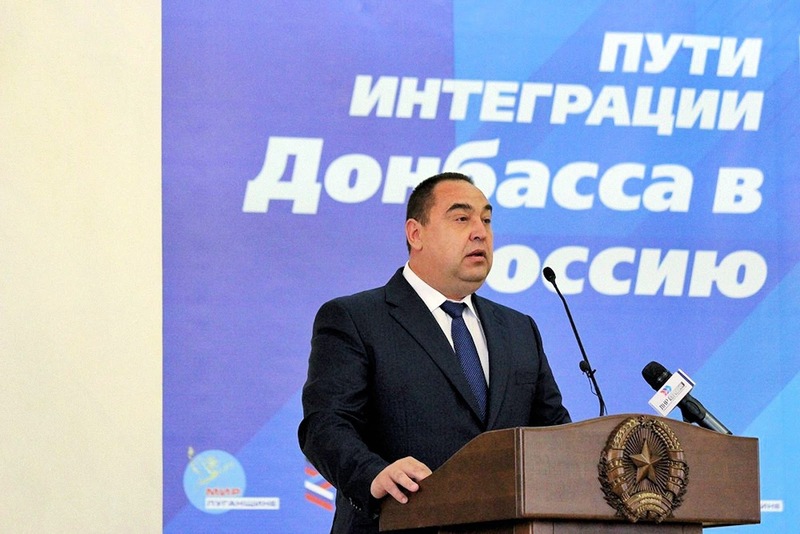 LPR authorities have warned that changes in water delivery schedules will be implemented in connection with this incident. This is not the first time that Ukraine has used water as a weapon against the Donbass republics. 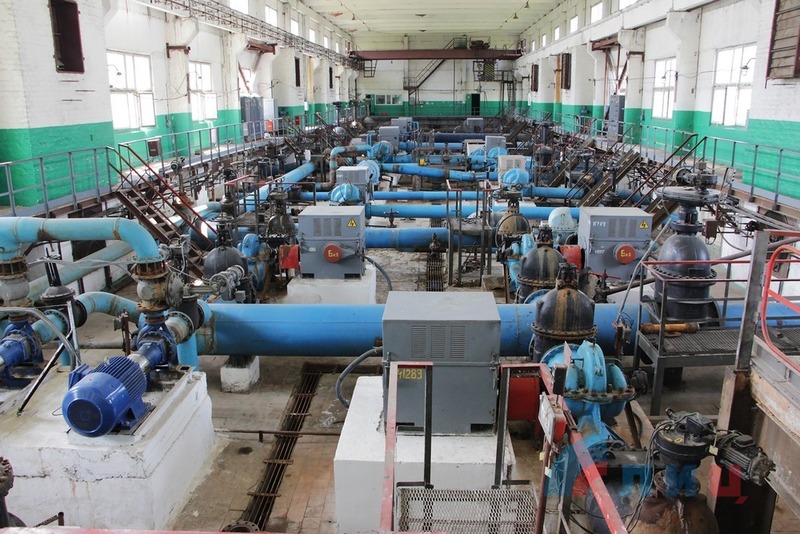 Earlier this week, on March 6th, Ukraine cut off supplies from the Petrovsky Pumping Station which supplies water to Slavyanoserbsk and Lugansk. According to the LPR’s Lugansk Water Corporation, the republic has reduced its dependency on water supplies from Ukraine to 15%, with approximately 84% of water demand covered by the republic itself. This does not mean, however, that civilians do not suffer when Kiev decides to cut off water and other necessities. Rather, this fits into the larger framework of Ukraine’s war of attrition or psychological warfare against the Donbass republics.